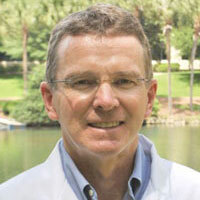 Dr. Cook joined All About Women in January 2013. 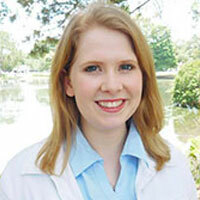 She is a board-certified gynecologist and a fellow of the American Congress of Obstetrics and Gynecology. She delivered almost 3,000 babies before devoting herself to full time gynecology. 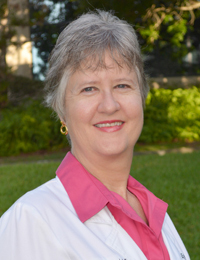 A true "Gator Doc," Dr. Cook attended undergraduate college, medical school and a residency in OB/GYN at the University of Florida. 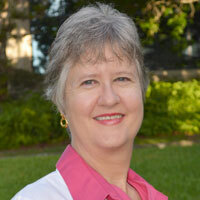 She has served as President of the UF College of Medicine Alumni Association, Medical Selection Committee, preceptor and Courtesy Clinical Assistant Professor at UF. 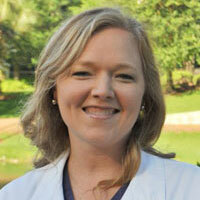 She has been in private practice in Gainesville since 1987. 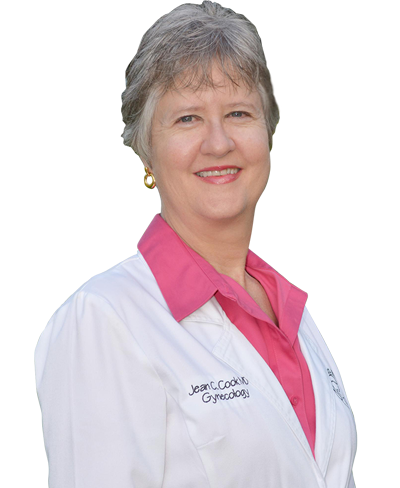 In addition, Dr. Cook is a member of the American Urogynecologic Society and she particularly enjoys finding medical treatments for urinary incontinence, menopause management, abnormal bleeding, endometriosis and adolescent gynecology. 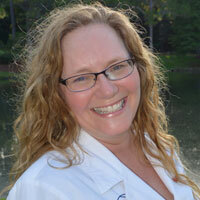 She is excited to share new theories about wellness and obesity with her patients. 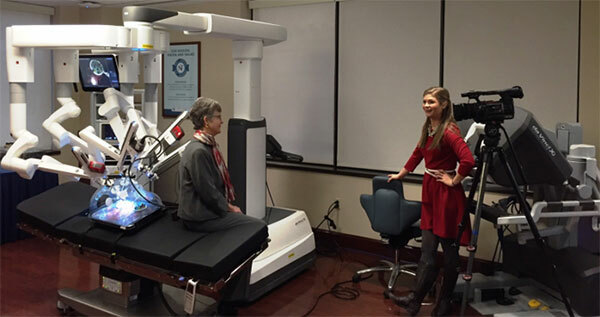 Dr. Jean Cook chats with Lauren Verno of Gainesville’s TV 20 next to the da Vinci Xi at the Robotics Center of North Florida Regional Healthcare. 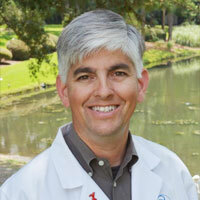 Married to a biologist, Dr. Cook has three children, the oldest of whom is an orthopedic surgeon in Tampa. In her free time, she loves running, biking, working out, organic gardening, spending time with her family and playing with her golden retrievers. Your comfort and satisfaction is my top goal. At All About Women, we achieve this by maintaining an environment which is patient-focused and family friendly. It has been my honor to provide compassionate care to women all across North Florida for the last 35 years. 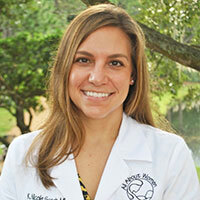 "Love Dr. Cook, felt very comfortable with her. Her nurse Cathy was awesome as well. Everyone I encountered was very nice and professional." "Dr. Cook is amazing and caring and professional while still always taking a personal and genuine interest in what’s going on with me and my life." "I am very impressed with the online check-in system and appreciate the friendliness, and expertise of the staff. Love Dr. Cook as well!" "I think my new doctor is great. She is kind and caring. She is also sympathetic to my family situation and has been very caring. I have already recommended Dr. Cook to a couple of my friends." "I praise God for leading me to your office. Dr. Cook, I am in awe of your professionalism and concern for me. You make me feel at ease. Thank you!" "I just love Dr. Cook. She is not only concerned for my health, but also what is going on in my personal life. I have recommended her to other people."